For the fourth consecutive year Alabama based professional angler and reigning Bassmaster Classic Champion Randy Howell will be giving away his Bassmaster Classic winning Triton bass boat. Howell has given away his tour boat each year for the past four years to one lucky donor to the King’s Home. The King’s Home, based in Birmingham Alabama, is home to hundreds of youth, women, and children seeking refuge, hope, and help from abuse, neglect, abandonment, homelessness, and other difficult and impoverished conditions and circumstances from all around the country. For every $100 donation to the King’s Home Randy Howell is giving away one entry to win the boat. There is no limit to the entries a person can receive for their donation, a $1000 donation would receive ten entries. The boat drawing will be held at the Kampfire for the King on November 15, 2014 at the King’s Home Chelsea Alabama headquarters. The drawing will be streamed live on the KingsHome.com at 2:15 PM CST. Donations will be accepted through noon on November 15th. For more information about King’s Home please visit KingsHome.com. 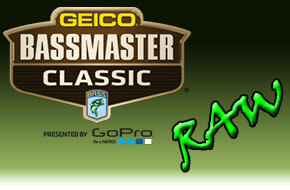 When you make a $100 donation to King’s Home, The World Champ will give you the opportunity to win his 2014 Bassmaster Classic Tournament Championship Rig valued at $75,000!